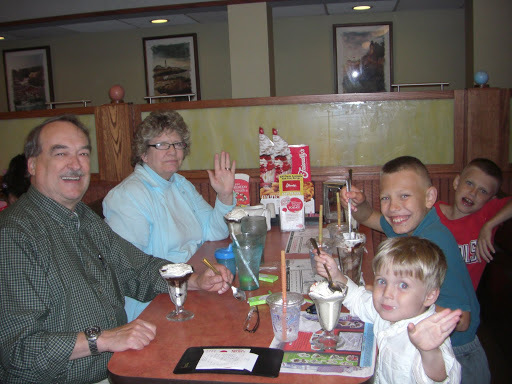 Yesterday, Bill’s parents, the kids, Neighbor Girl and I went to Friendly’s for ice cream sundaes to celebrate Bill’s birthday. 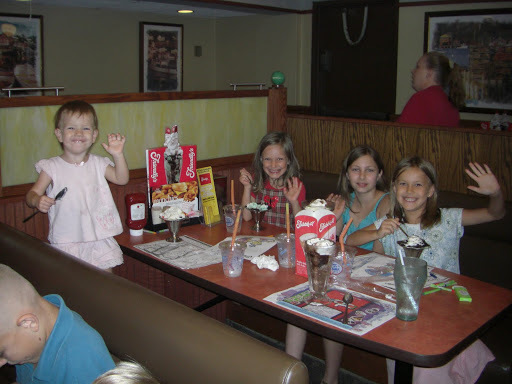 The kids have not been to a Friendly’s since we lived in New Jersey (2005), so this was quite a treat. Wish you could have been there, honey. 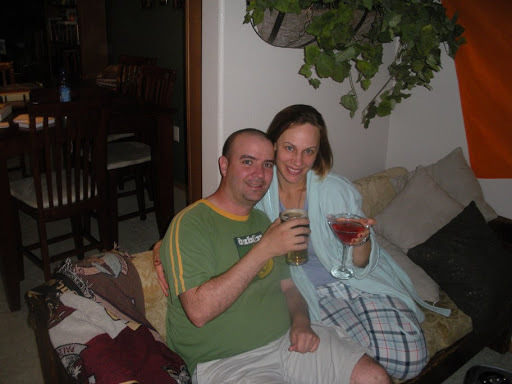 My sister sent this cute photo of her and her husband toasting my husband. She doesn’t say what they’re drinking, but I’ll guess some sort of Pale Ale for him and cranberry juice with vodka for her. Thanks to everybody who has left comments on Bill’s blog. He has appreciated them. Very nice! Petey has the “see-ya” wave down.